With all the winter weather most of the country has been getting blasted with, chances are you've hit the slopes already. And with no snow letup in sight, you might be headed back. So, be careful out there. But, accidents happen. Most of us are aware of the risks that come with skiing, but every now and then an accident isn't just an accident, and someone else is at fault. When that happens on the ski slopes, who's responsible and what can you do about it? 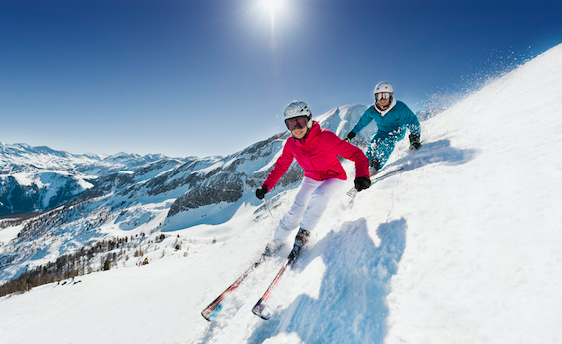 Here's what you need to know about skiing injuries and legal liability. Hopefully, you're well aware of how to stay safe on the slopes. If not, an experienced skier or guide can help. And if you're determined to do it all on your own, make sure to avoid skiing alone, be careful around trees and rocks, and don't treat ski lifts and equipment like toys. 2. When Is a Ski Resort Liable for Injuries? As a business open to the public, ski resorts are generally responsible for preventing foreseeable injuries in and around the resort. But on the mountain? That could be a different story. And while many (if not all) resorts require you to sign a liability waiver or include one with the sale of a ski pass, not all those waivers are enforceable in court. Perhaps the biggest factor in determining liability for ski injuries is the behavior of the skiers involved. Did you hop on a double black diamond your first time out? Did you purposely ski outside the resort's boundaries? Or did someone else recklessly plow into you? Speaking of boundaries, for some veteran, adventurous skiers, only the backcountry will do. But what happens if you get in trouble out there? Search parties and rescue efforts don't come cheap, and some counties and states are charging rescuees with those costs. Your best bet for legal advice regarding your specific ski injuries is going to be an experienced injury attorney. You can find one in your area below.